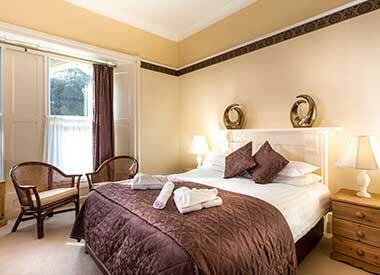 Standard double rooms are cosy but perfect for a short break. 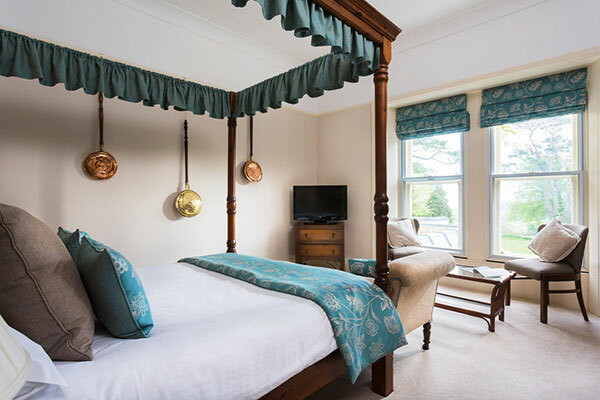 These rooms are located in the East wing of the House (an addition in 1990 to the Victorian Manor House) and all equipped with standard (4ft6) double beds. 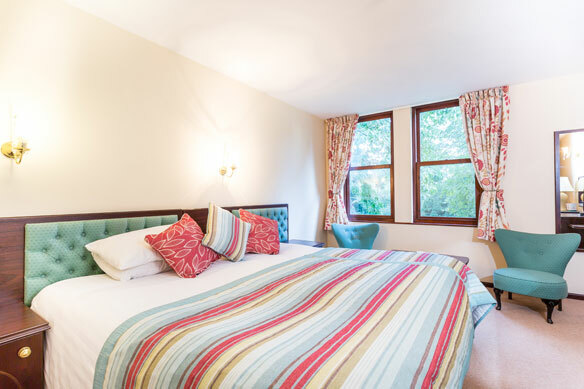 Bedrooms overlook the Courtyard Cottages. 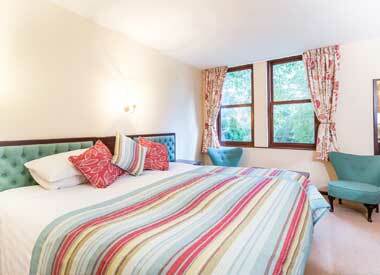 Superior standard bedrooms are very comfortable and offer good accommodation for visitor needs. 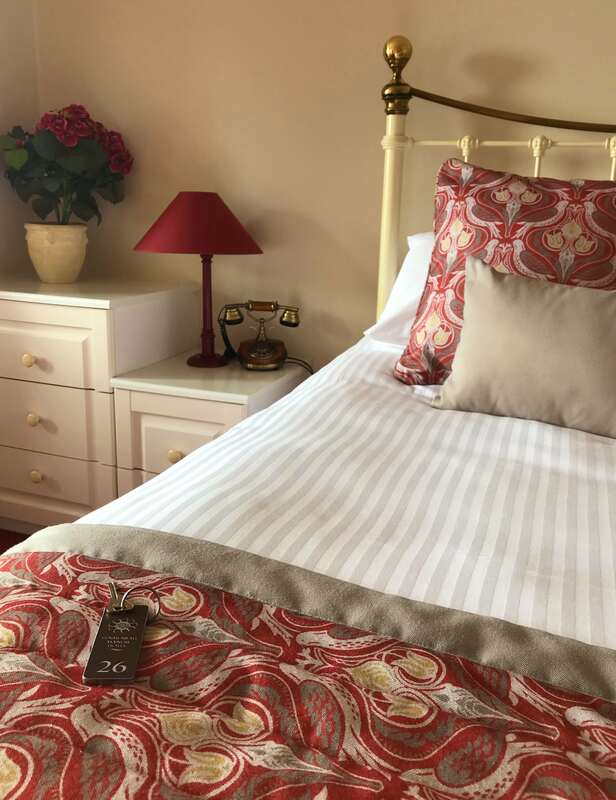 The beds can be made into twins or a super king double on request. 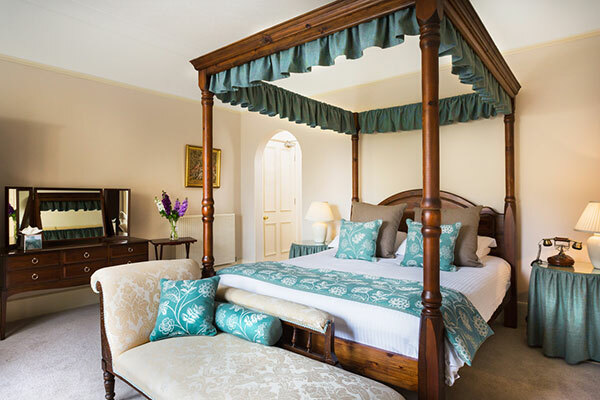 All can be found in the East wing of the House (an addition in 1990 to the Victorian Manor House) and offer ample space and super king beds. Rooms overlook the Woodland gardens. 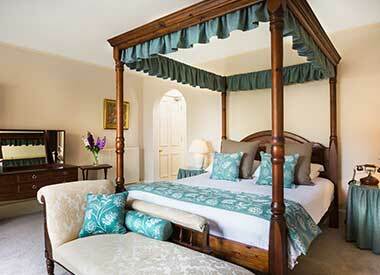 Our Manor bedrooms are traditionally and individually designed. 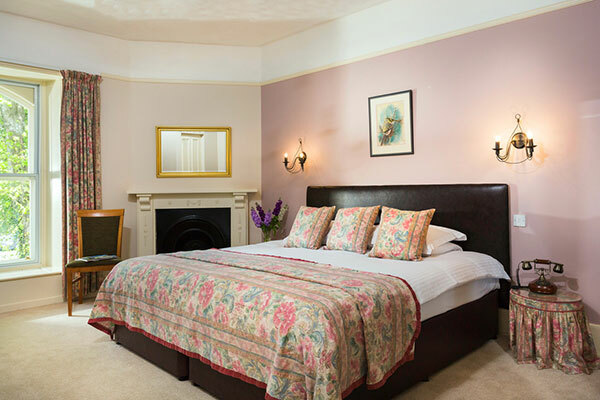 Each room is spacious and offers extra room and comfort. Bedrooms overlook the Courtyard. All with king size beds. 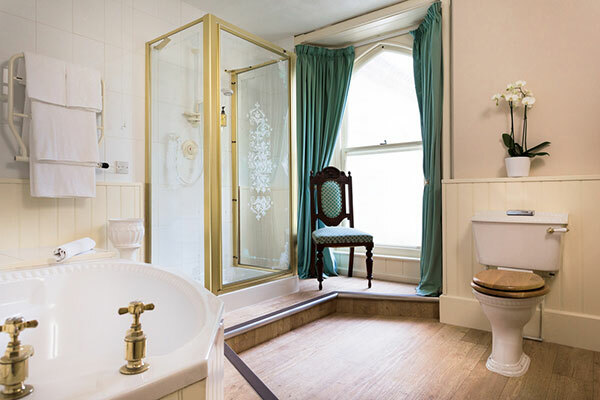 Our Master Bedrooms are quite individual and ever so quirky for a special night away. 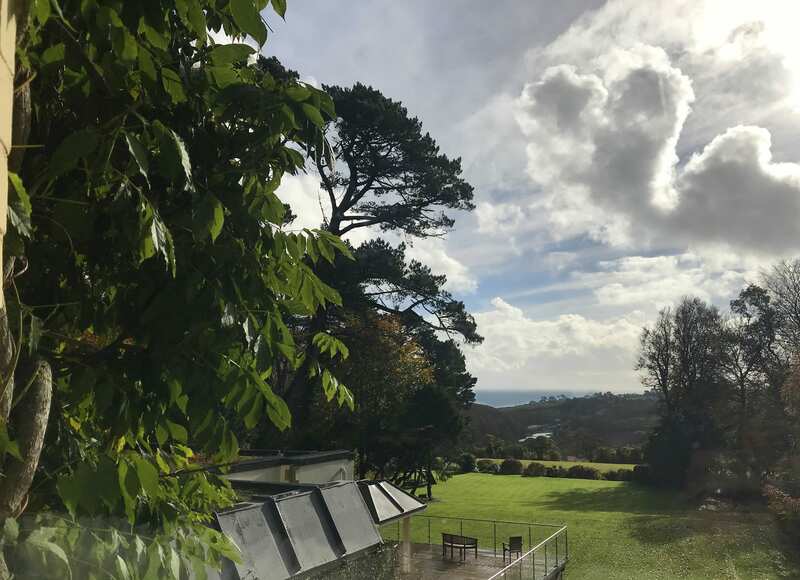 Both rooms overlook our Woodland gardens and have far reaching views to Maenporth beach and the sea. 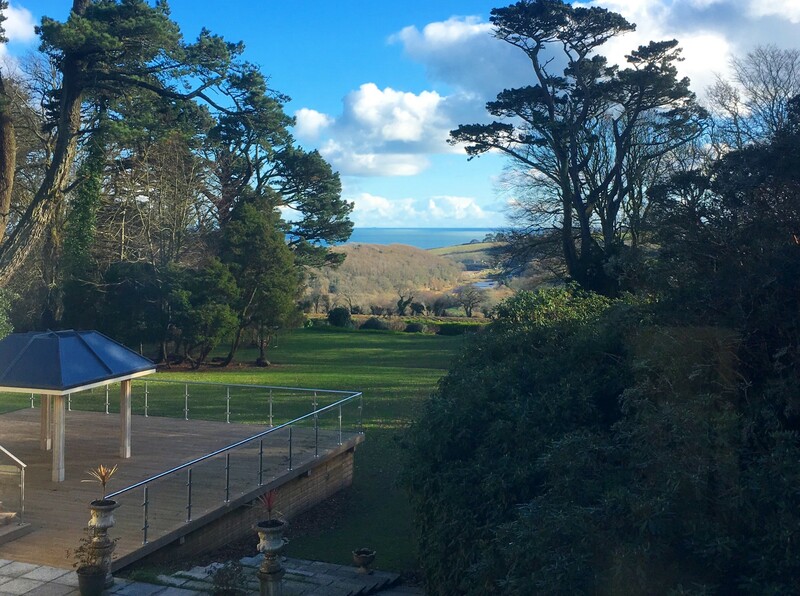 Above prices are per room, per night and are inclusive of Room, cooked Cornish breakfast and VAT. 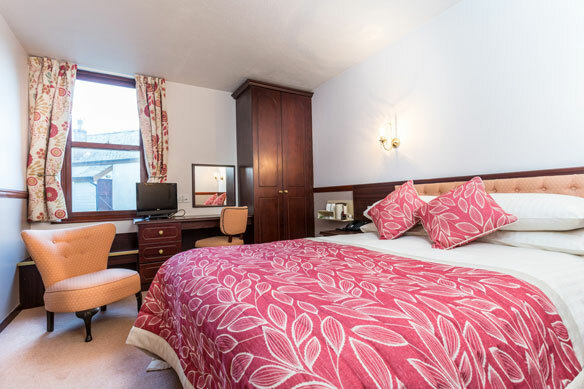 All guests have free use of Wireless Internet and free onsite car parking. Small well behaved dogs are very welcome. Charges of £12.50 per dog per night are levied (excludes food & bedding). Dogs must be accompanied at all times and are not permitted within Restaurant and Drawing Room. (Guide dogs are excluded). We gladly accept reservations made by telephone or email. 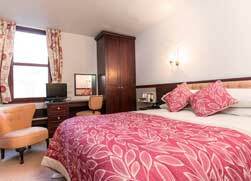 We require a deposit in the amount of the first night’s accommodation to secure the booking on one night stays. 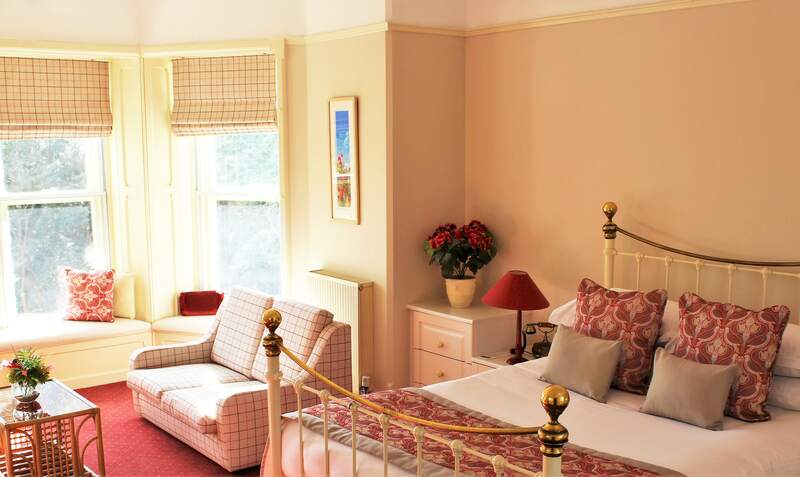 Visits of two nights and more are required to pay £50.00 per each night stay in the total booking. Deposits are non refundable but may be held by the Hotel, to be credited against another stay within six months of the cancellation date. Please note that during festival dates such as Public Bank Holidays, Christmas, New Year, Valentines and Easter our rates are variable. Accounts are to be settled upon departure. All major credit and debit cards are accepted. Credit Cards will incur a charge of 2%. Cheques are accepted (at least five days before departure) providing they are covered by a valid banker’s card. The Hotel reserves the right to ask for alternative payment or further identification.